This blackberry crumble dessert is made with fresh blackberries, sugar and butter. It's an excellent way to use fresh blackberries, and it's super easy to prepare and bake. 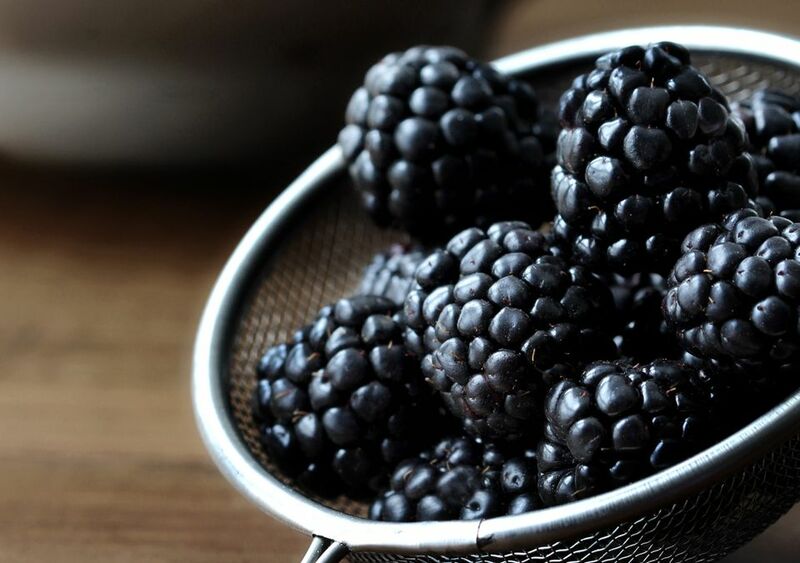 Serve the blackberry dessert warm or cold with a drizzling of heavy cream or serve it with a scoop of ice cream. Put the blackberries in a lightly buttered 1-quart baking dish with half of the sugar (1/3 cup). Sprinkle with lemon juice. In a mixing bowl with an electric mixer or by hand, beat the butter with remaining sugar; stir in the flour and salt. Sprinkle the crumble mixture over the blackberries. Bake in the preheated oven for 35 to 40 minutes, or until the topping is browned. Serve warm or cold with cream, ice cream or dessert sauce.